im making a form that requires user to upload multiple files, I'm currently using Drag and Drop option, but this is not Mobile friendly, is it possible to have both file selection and drag and drop options in one widget? At the present the drag and drop upload only has the drag&drop functionality. 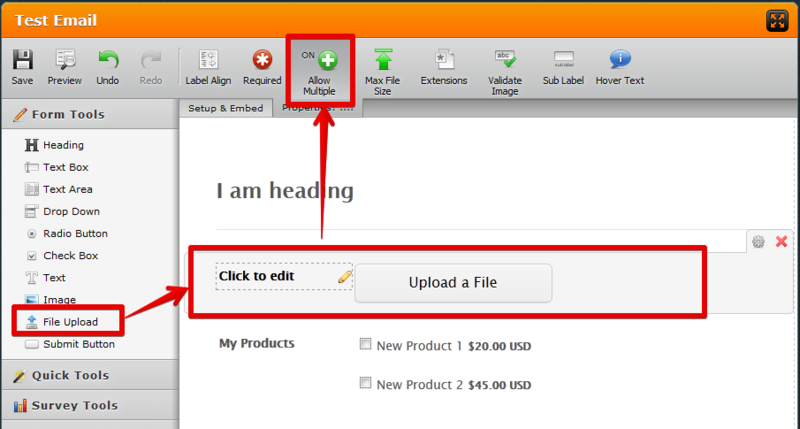 You can use the standard upload button to upload multiple files.